About the Omaha: The Omaha originally lived in the Ohio River Valley along with ancestors of the Kansa, Osage, Ponca, and Quapaw Indians. Eventually, the tribes separated, and most of them moved further west. The Omaha people arrived in Nebraska around 1700. They lived in earth lodges and relied on crops and buffalo for food. History of the Reservation: In 1780, the Omaha tribal population was estimated at 2800 members. However, after exposure to white settlers and traders, their numbers had sharply declined by 1802 to a mere 300 people. In 1855, the Omaha were forced to relinquish extensive hunting grounds in exchange for a reservation. However, in 1865, the government sold half of the Omaha’s reservation to the Winnebago tribe, and the Omaha now live on the remaining half of their original reservation. The Omaha originally had its settlements along Missouri river in eastern Nebraska. 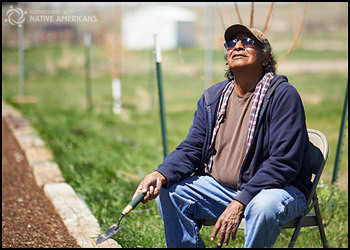 Life on the Reservation: Farming, tribal and federal governments, a casino, and a resort provide some jobs to Omaha residents. 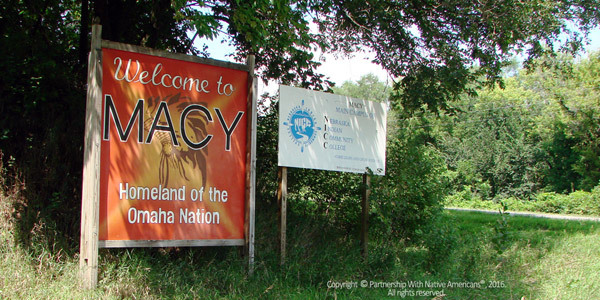 The Tribe’s efforts to establish economic activity have not guaranteed economic security for all tribal members, and more than one-quarter of Omaha tribal members live below the poverty line.